In a highly competitive market how do companies ensure their brand stands out? Utility Week talks to seven energy utilities about their strategies for developing trust and differentiation. Energy suppliers have long struggled with a crisis of trust. Now, with more than 70 suppliers in the market all battling for attention, branding has never been more important to ensure survival. For energy networks, too, branding is critical. Although they remain regional monopolies, gone are the days when they could get away with being faceless entities. The dramatic pace of change in the industry means engagement with both customers and communities is becoming ever more important. And for completely new start-ups in the generation and renewables space wanting to attract new customers, branding is vital. When competing with big brands in other sectors, energy firms do not compare favourably. Global marketing consultancy Prophet recently published its fourth annual Brand Relevance Index – a ranking of the “most relevant” brands in consumers’ lives. Prophet defines a relevant brand as one that is “customer obsessed”, innovative, pragmatic and inspired. Unsurprisingly, Apple topped the league table in the UK. Other usual suspects – Google, Amazon, Spotify – were also in the top ten. As was, interestingly, the NHS. However, for energy companies, the picture was less pretty. Ovo came top in the sector at number 155 out of an overall 250 brands, with British Gas second at number 200. They were followed by Eon (220), EDF Energy (241) and Npower (249). And yet, at a time of monumental change, energy firms of all stripes are striving to be brands associated with trustworthiness. “Our aim has always been to build a brand that can be trusted – and to build awareness of that brand,” says Western Power Distribution communication manager Paul Bishop. Utility Week asks seven companies from across the energy industry what the reasons are behind their branding strategy. “Octopus is a distinctive name in a sector of boring utilities and generic ‘happy start-ups’. This makes it more memorable and inspiring. It’s based on the name of our backers, Octopus Investments, who are one of the best-known investors in renewable generation. We have customers commenting on it a lot. One even sends us Octopus cartoons, another did a stop-motion video. “The colour scheme is high contrast, aiding accessibility. Navy blue exudes authority and trust – we use a less conservative, more approachable hue that leans towards purple, and in contrast to the navy, we use a white for simplicity and clarity, and a hot pink as a warm, active colour – one that is more approachable than reds or yellows, which are classic warning colours in the natural world. “We use Gotham – a modern typeface that combines the simplicity of geometric typefaces – such as Futura – with the warmer, unpretentiousness of humanist typefaces – such as Helvetica. This helps convey our values of openness, transparency and simplicity. Its relatively large x-height means it is highly legible and, unlike many typefaces, it has been carefully crafted to render well across all kinds of devices and media. “Accessibility is very important, so if you use our website with a screen reader, it should work perfectly – and we also test how it works for a range of other conditions such as colour blindness, poor eyesight, autism, dyslexia and deafness. “Since the 1980s British Gas has been a household name. At our heart we’ve always been a blue brand with a flame, but now we’re evolving to become more modern and dynamic – with a brighter colour palette, visual elements and bolder photography style. “Branding is never just about the logo or the look – it’s about everything a company says and does even when it’s not written down. We’re very much about putting the customer first and getting the job done, which implies using common sense. “It is possible to make branding very complicated, but we haven’t gone down that route. We like to keep things simple, hence the name. “Obviously, we don’t allow the logo to be altered but beyond that we work to preferences rather than rigid specifications. For example, we prefer our logo to be on the right but where on the right will depend on the circumstances – who’s going to see a logo on the bottom right of a pull-up banner in a crowded room? “When our company was formed in 2005, we were known as Scotia Gas Networks with regional identities Southern Gas Networks and Scotland Gas Networks. However, we always operated as one company, so the driver for our 2014 company-wide rebrand was to bring our name in line with the way we think. “Introducing this single SGN identity was also an opportunity to consider the impact of our brand on our customers and stakeholders and help them better understand who we are and what we do. One key design element was the introduction of a strapline alongside our logo (Your Gas. Our Network). This clear and simple statement was to explain our role in their lives. “The logo become the basis of our new identity, with the dot formation a nod to gas pipes and delivering heat. Elements from this new logo – the dots, the colours, etc – were woven into refreshed designs across all our collateral including publications, signage and our digital channels too. “We needed a bold brand that reflects the bold move the company is making. We’re one of the largest utilities in northern Europe and we’re the only one that has fully committed to be a purely renewable energy company. It’s a great story, and a hugely positive one, and our visual identity reflects that sense of optimism. The brand that emerged is forward-looking and global, with a vision that invites humanity to build a world that runs entirely on green energy. 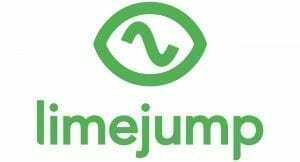 “The brand that had been established for Limejump had been created to bring the first iteration of a start-up to life, taking inspiration from the name literally and using fun graphics to stand out from the anonymous corporate style of the competition. While this brand had established a personality, and with our major product launches developing in 2018, we needed to update and evolve the brand towards a stylish yet fun look and feel. “Creating this graphic look, Jonas Suarez, lead UX [user experience] and designer, took our brand personality and the literal name, updated it to be more sophisticated, established further the colours and incorporated the idea of electricity frequency within the icon. Also thinking literally, the icon and logo had to be memorable and adaptable. “I did some brand research and found there were pretty much two types of brand approaches in the market – one that was very functional and transactional (such as Uswitch) and another that was more relational with a warm connection to the home (such as Nest). Clearly, as a service that is a ‘for life’ solution, ensuring a household is always on a cheap energy deal, we wanted something to cement us in the latter camp. “What I liked about Labrador was that not only was it a connection to the home and lifestyle, it stood for a lot of our brand values – trust, loyalty, a friendly guide – plus, it happened to also fit in with our device being a retriever (of data). The biggest challenge in the energy market is to get people’s attention.